Can say this is a long outstanding steamed cheesecake which I have listed to do, probably since 2012. Several blogger friends have also shared this recipe since then. 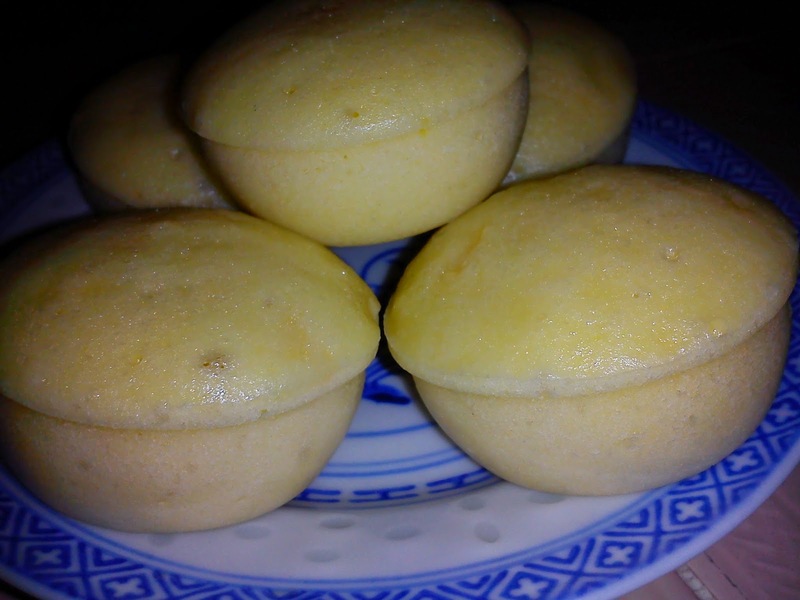 The original recipe is from Alex Goh's Magic Steamed Cakes. Instead of steaming in a cake pan, I steamed them in plastic cups since I have it. I'm not sure if it is healthy to do so, but once in awhile should be alright after all most 'Huat Kuih' sellers use plastic cups to steam their huat kuihs. Safer side, avoid using them or don't use. Advisable to use paper cup cases, porcelain or stainless steel moulds. 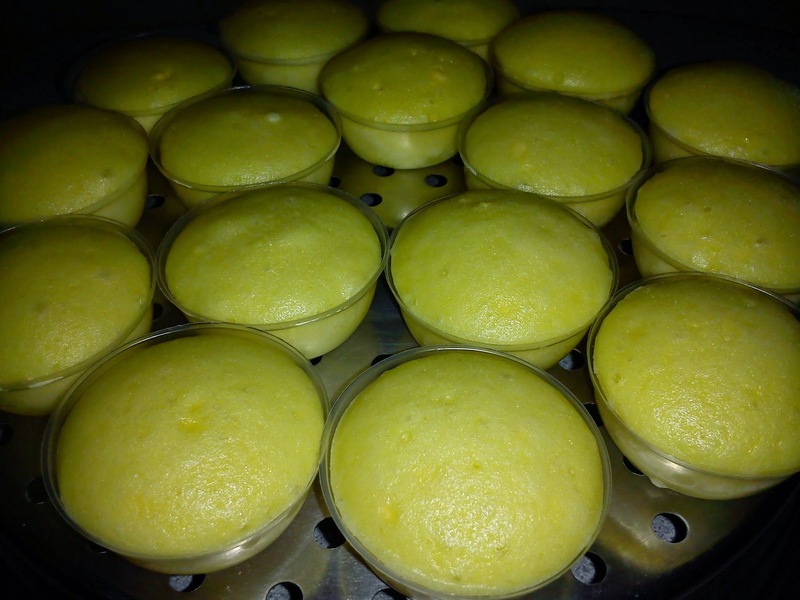 The steamed cheesecake has a smooth surface, fine texture and buttery flavour. 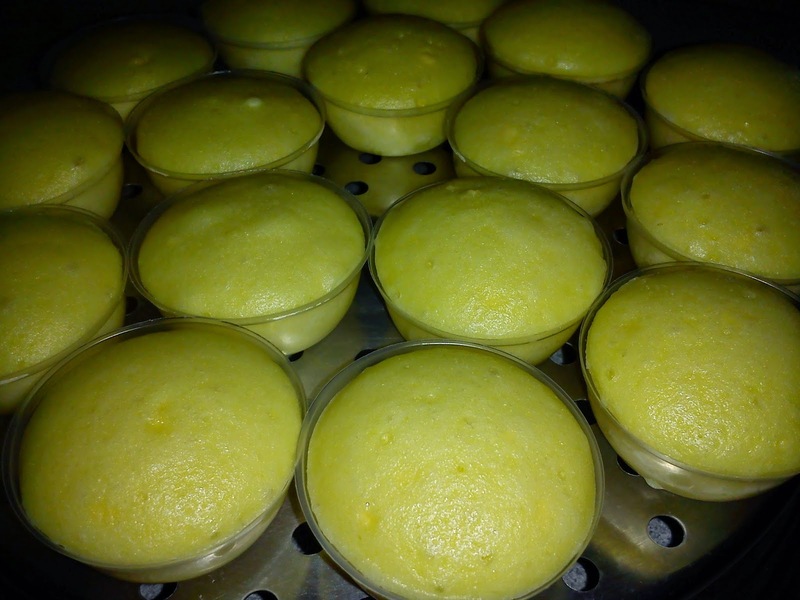 Soft and moist, taste like steamed egg cake [Ji Dan Gao] with a hint of cheese. These can be reheated before serving too. 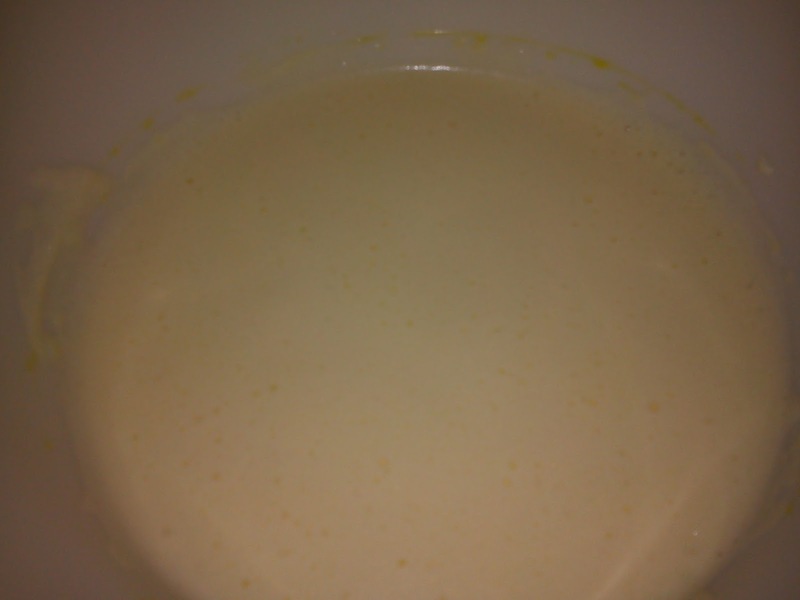 Melt cheese, butter and milk by double boiling or steaming. Set aside to cool. 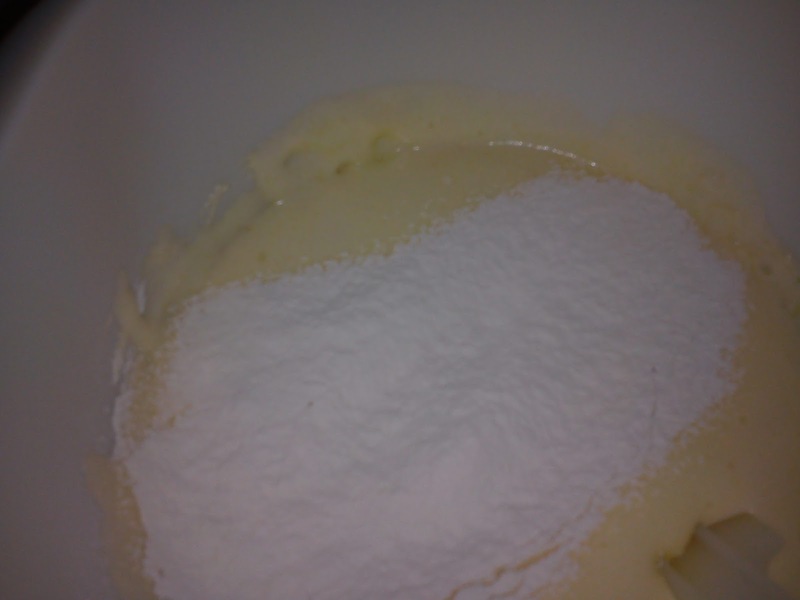 Sieve the flour and double action baking powder in a mixing bowl. Set aside. Whisk eggs and sugar until sugar dissolves and thick with an electric hand mixer. 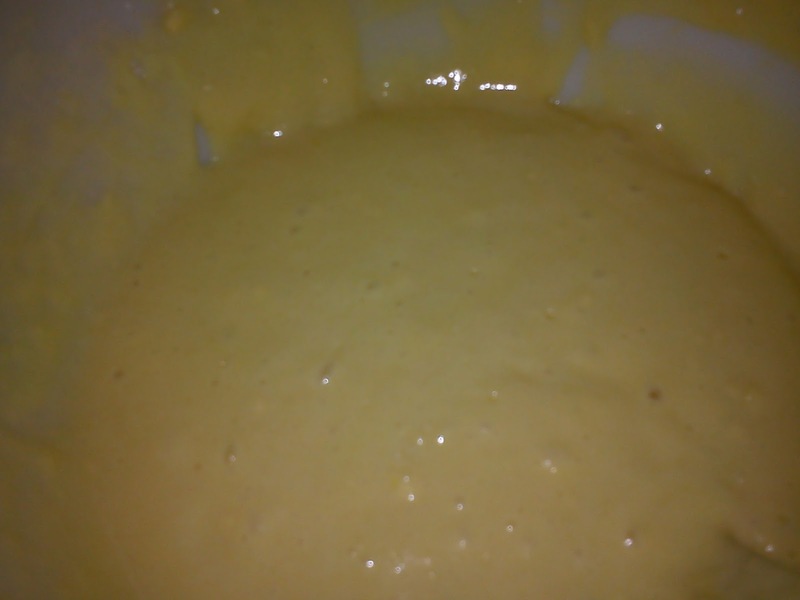 Gradually drizzle in the melted cheese mixture into the beaten egg batter. Mix using the lowest speed until well blended. With a spatula, fold in the sifted flour into the cake batter in a few additions until well combined. Scoop the batter into cupcake liners until 90% full. Steam over medium high heat for 20 minutes for cup cakes or 30 minutes if using a pan. Remove from steamer and cool on wire rack. Kimmy, this "ang moh huat kueh" (hee..hee...) has no smiley face :) The tops are smooth and look very presentable in the plastic cups. Does it have a strong cheesy smell? Hi Phong Hong, I can only say that it is so much better than Baked Egg Cake [Ji Dan Gao]. Not really distinct but very buttery. Using a good quality cheddar cheese should have a difference. BTW, it is quite addictive cos' I can't stop at just 1 or 2 pieces. Kimmy, all with smooth top, so nice. 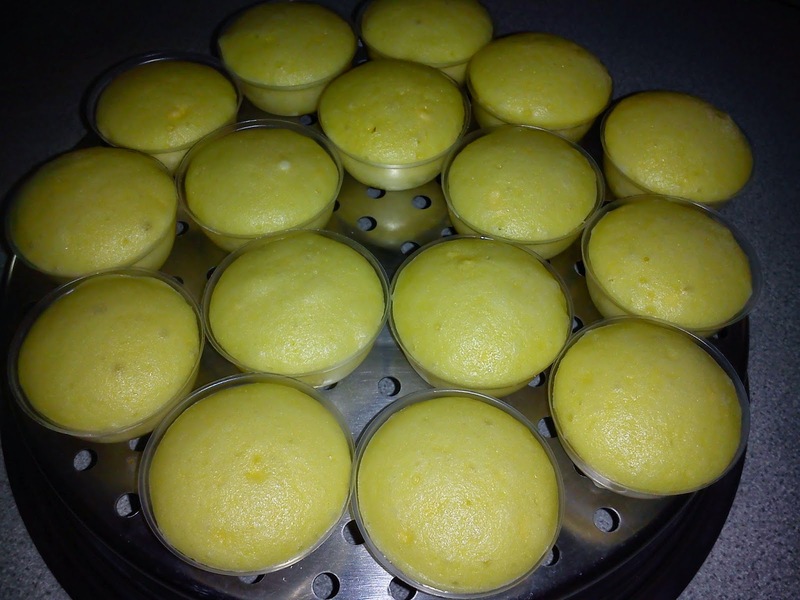 Haiz, I've got a few steamed cakes recipes bookmarked still yet to try. My big kids love cheesecakes ... will try small quantity for them. Thanks for sharing ^-^! Hi Kimmy, Like this 'ang moh' smooth texture cheesecake. I must add this recipe in my to do list. Hi Karen, I was thinking there may be cracks but surprisingly all have the same appearance. Looks very uniformed and tasted good. 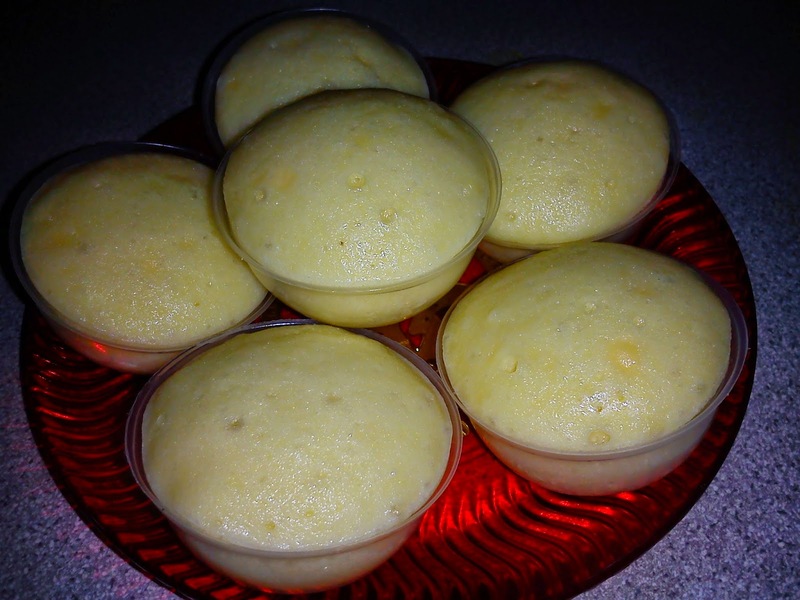 I like the taste very much and probably the most economical cheesecake to make. You must make some for your kids. Hi Ann, you must try to make some. Next time, I may make the marble version with some cocoa batter. May look good like the marble ji dan gao. Hi Kimmy, these steamed cheesecakes look really adorable. And they're probably much easier to enjoy too, since they're smaller compared to a large cake on its own. Thanks for sharing it to BREE! Hi Aunty Young, it's a good idea to steam the cake in cups. No slicing and can be easily dislodge from the cups. Great for parties.